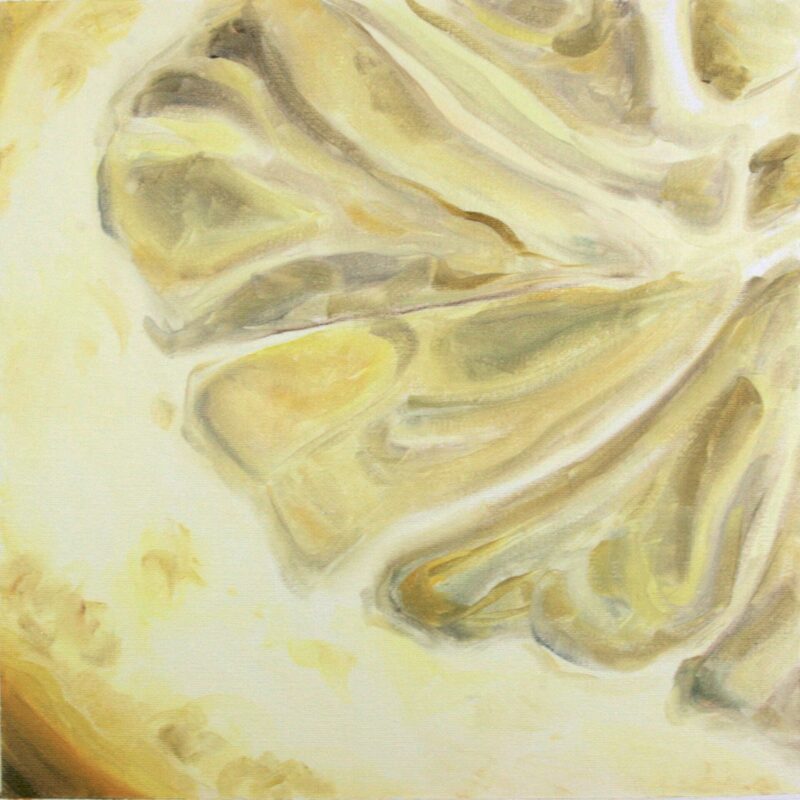 This is an original, one-of-a-kind painting of the inside of a pomegranate. 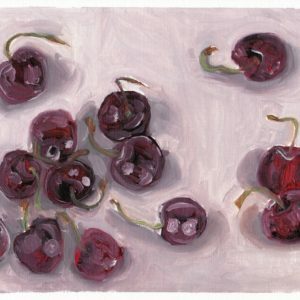 It is a miniature oil painting on professional-grade deep cradled painting panel and measures 4″ long by 2″ wide. 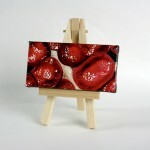 It comes with a miniature wooden easel for display. Shipping is free to the United States. This is an original, one-of-a-kind oil painting of the inside of a pomegranate. 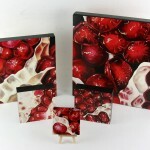 It is a miniature painting on professional-grade deep cradled painting panel and measures 4″ long by 2″ wide. I signed it on the back of the canvas and painted the sides of the painting black. 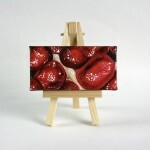 It comes with a miniature wooden easel for display. Depending on your computer, colors may vary slightly from photographs. Shipping is free to the United States. 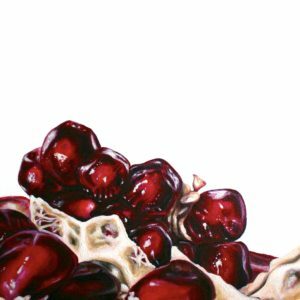 The pomegranate has served as an important and overwhelmingly positive symbol for the cultures that propagated it for thousands of years. It represents beauty, abundance, and fertility in Jewish and Muslim beliefs, life and regeneration to Christians and Greeks, prosperity in Buddhism, and strength and eternal life to Persians. 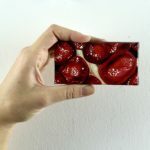 From ancient cultures to contemporary times, pomegranate art is a popular gift for life events like weddings, housewarmings, and coming of age ceremonies. This miniature painting is adorably small and comes with a matching wooden easel. This pomegranate is perfect for dollhouses, young collectors, and anyone else who enjoys miniatures. ARTicles Gallery, St. Petersburg, FL.